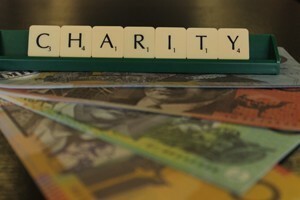 The passage of the legislation to establish Australia’s first charity regulator, the Australian Charities and Not-for-profits Commission, is set to be embroiled in party politics after the a Joint Parliamentary Committee tabled its Advisory Report to Parliament yesterday. The report recommended that all three Bills needed to establish the first charity regulator be passed, however, the Coalition members of the Committee included a dissenting report saying its committee members do not support passage of any of the three bills. The bills required to establish the ACNC are the Australian Charities and Not-for-profits Commission Bill 2012; the Australian Charities and Not-for-profits Commission (Consequential and Transitional) Bill 2012; and the Tax Laws Amendment (Special Conditions for Not-for-profit Concessions) Bill 2012. The Committee was made up of five ALP members, four Liberal members and one member of the Australian Greens. No Independent MPs were on the Committee. The Greens member of the Joint Parliamentary Committee, WA Senator Rachel Siewert, also listed separate recommendations to the main report including that the Bills should not be passed without amendments. Senator Siewert recommended that Parliament “defer the elements of the Bill that can be deferred until the complimentary Charities definition legislation is completed”. Pro Bono Australia contacted all Federal Independent members to seek their views on voting for or against the passage of the Australian Charity and Not-for-profit Commission (ACNC) Bills which are expected to be considered in coming weeks. Rob Oakeshott, the NSW independent Member for Lyne, told Pro Bono Australia that he would “more than likely vote yes” to the Legislation. “I will be voting for it and consider it quite historic,” he said. A spokesperson for South Australian Independent, Nick Xenophon said his position on this legislation is yet to be determined. No other Independents have provided their voting intentions so far. However a dissenting report from the Coalition members said they do not support passage of any of the three bills. “Coalition members of the Committee do not accept that the current Commonwealth regulatory regime, based on the activities of the Australian Securities and Investments Commission and the Australian Taxation Office, is broken, and therefore do not accept the premise for this new regulatory megastructure,” it said. “We are unpersuaded by claims that this reform will reduce the regulatory burden faced by the sector. The Coalition’s dissenting report concluded that the Coalition members of the Committee were unable to support passage of these bills because the mischief that the main bill seeks to address has not been adequately identified and the claims that it will deliver a reduction in red tape are wholly implausible. The CEO of the Community Council of Australia David Crosbie says he is meeting with Andrew Wilkie today to discuss his support for the Legislation. “We expect the Legislation to pass through the Lower House of Parliament with the Greens supporting the Government and despite continuing opposition from the Coalition. Crosbie said that a report by the Senate’s Community Affairs Committee is expected to be delivered late tomorrow and would provide some further clarity around support for the Legislation. Earlier, the National Roundtable of Nonprofit Organisations called on the community sector to urge all members of Federal Parliament to pass the national charity regulator Legislation or face being ‘jilted at the altar’ yet again. Roundtable Chair and CEO of Jobs Australia, David Thompson, said the sector must garner the support of all politicians including the Independents to make sure the Legislation gets over the line in coming weeks. “We have been waiting way too long for regulatory reform of the Not for Profit sector and a whole forest has been felled to print the the thousands of submissions made to various inquiries over the years,” he said. Thompson said there are now more than 12 million words on 39,000 pages on the public record on the case for and the nature of necessary and desirable Not for Profit regulatory reform in Australia. View the Parliamentary Joint Committee on Corporations and Financial Services Inquiry into the Australian Charities and Not-for-profits Commission Bill here. Get on to Oakeshott, Windsor, Katter, and Bandt and stop this in the HoR.